Last month, Wyden revealed abuses in the lucrative but loosely regulated field involving Securus Technologies and its affiliate 3C Interactive. Verizon says their contract was approved only for the location tracking of outside mobile phones called by prison inmates. Verizon notified LocationSmart and Zumigo, both privately held, that it intends to “terminate their ability to access and use our customers’ location data as soon as possible,” Zacharia wrote. The cutoff won’t affect users’ ability to share locations directly with apps and other services. Rather, it deals with the practice of providing data to third parties with whom users have no direct contact. 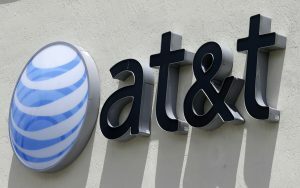 Wyden wrote all four major U.S. wireless carriers on May 8 after learning about a web portal that let law officers track Americans’ locations without proper oversight. A former sheriff in Missouri has been accused of using Securus data for unauthorized surveillance of a judge, a sheriff and state highway patrol officers. Days later, a Carnegie Mellon University security researcher discovered a security flaw in LocationSmart’s website that could have allowed any reasonably sophisticated hacker to secretly track almost any phone in the U.S. or Canada. Wyden asked the carriers to identify which third parties have been acquiring carrier location data and to provide details such as any third-party sharing of location data without customer consent. His office shared the companies’ responses with The AP. “The big concern was that this was probably the tip of the iceberg,” said Laura Moy, deputy director of the Georgetown Center on Privacy and Technology. She said Verizon’s move “indicates that it cannot actually police this process, that it doesn’t have the ability.” Nor can the other carriers, she said. 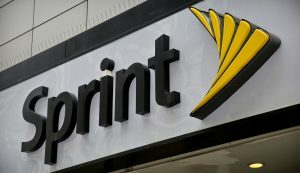 Sprint said account holders must “generally be notified” if the data is to be used so they can decide whether they consent. 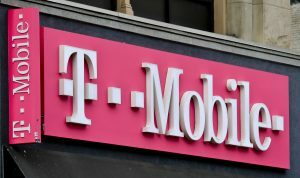 T-Mobile has offered to buy Sprint for $26.5 billion. The carriers left most of Wyden’s questions unanswered — such as how many of their customers had been affected by location sharing they never agreed to. Gigi Sohn, a former top advisor at the Federal Communications Commission in the Obama administration, said Verizon has lately proven itself a “shining example” on privacy. “I think they understand that bad privacy practices are bad for business,” she said. 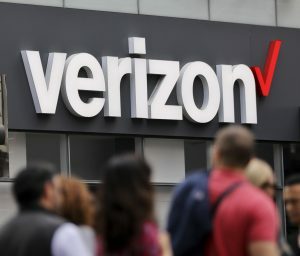 Moy said Verizon may have been motivated by a $1.4 million FCC fine for an earlier episode in which the company quietly tracked its wireless customers’ online travels with a “supercookie” for at least 22 months beginning in December 2012. The case also spurred FCC rules that would have required carriers to obtain consent for selling their customers’ wireless location data. But the GOP-led Congress quashed those rules last year. Analysts say it’s difficult to gauge the size of the location-tracking aggregation market. On its website, LocationSmart claims it is the No. 1 “location-as-a-service” provider with data from every top tier U.S. wireless carrier and more than 200 enterprise customers. Zumigo appears oriented to the financial sector, and lists Intel, Wells Fargo and Capital One among investors. In a statement, LocationSmart said it respects user privacy, doesn’t provide access to location information without user consent and doesn’t warehouse data or track user location histories. “We are all tracked, all the time, primarily for marketing purposes, by such a large number of companies I’m not sure I would even know where to start the math,” said Mogull. Associated Press technology writers Matt O’Brien in San Francisco and Mae Anderson in New York contributed to this report.